When thinking about a career are you worried you will be bored or afraid of being tied to a desk? As a Mining Engineer you are not tied to a desk. Your job is stimulating, you get to utilise latest technology, get to solve problems and have opportunities to travel and work. As a mining engineer you have the opportunity to specialise in people management and to have a job that makes an impact. 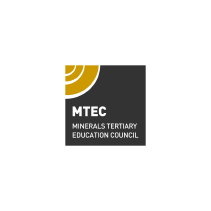 With strong starting salaries plus a demand for Mining Engineers there’s never been a better time to become qualified. Imagine having an interesting job where no day is the same. You are utilising the latest technology and work as part of a team. You have a great starting salary and there are good management pathways. You travel to different parts of Australia and the world. You are a mining engineer. As a professional, a Mining Engineer is concerned with the safe, economic and environmentally responsible recovery, processing, marketing and financial management of minerals resources to meet the ever expanding demand from the global community for mineral commodities. Have you ever wondered who was responsible for designing your iPod, MP3 player or mobile phone? That’s right an Engineer! Do you know where many of the materials came from that went into making these items? Minerals found in the earth. In a nutshell, without a mining engineer you wouldn’t have an iPod! Mining Engineering graduates will have gained sufficient knowledge to move into and between different industry sectors. Mining Engineering is a career that offers a high salary, a wide range of career options, the chance of working internationally and even becoming the head of a major global company. Ever since the European settlement of Australia began in 1788, mining has played a significant role in the national economy and in promoting economic development. Today, the mining industry is of strategic importance to the Australian economy, underpinning its resilience and largely responsible for Australia avoiding the consequences of the global financial crisis. In 2011 Australian mineral product exports accounted for 60% by value of the nation’s total exports. As with all disciplines, employment opportunities for Mining Engineers vary with the performance of the world’s economies. However, as mining provides the first, and most fundamental, of the four essential ingredients of sustained economic growth – natural resources, technical progress, new investment and an expanding labour supply – it will, over the medium to long-term continue to offer significant employment opportunities and financially and intellectually rewarding careers. A mining engineering career can lead to senior management or technical responsibilities. Graduate engineers usually initially spend time on site becoming familiar with mining operations. As a professional engineer, opportunities may arise to master different aspects of the mining business, such as marketing, finance, contract management and business development. In a senior management role, you might assume further responsibility as a commercial manager or as a representative on a company board. All of this grooms you to take on a senior executive role, should you decide that this is for you. Remember – Your career is a life-long learning process!